Being a writer is the perfect occupation for a person like me. I’m someone who likes their own space and enjoys their own company, someone who lives more in their head than in the outside world. Sitting at a desk – or more often than not, before my laptop at the kitchen table – is my natural environment. But two weeks ago, I was dragged out of my comfort zone, forced to make myself reasonably presentable and put centre stage in front of a room full of people. Because I had a new book to send out into the big, wide world. I needed a pre-publication book launch for Not Thomas – pre-publication because it’s not officially out until the middle of July. So how did it feel, being out of my comfort zone? Well, I knew having the centre of attention focused on me for a whole afternoon would be a tall order. And so when an organiser of another event offered to include me in theirs, I jumped at the chance. It was the perfect solution for me. Early copies of Not Thomas were launched as part of Spoken Word Saturday, a fabulous event that happens in Llanelli’s Ffwrnes Theatre every second Sat. And I was so grateful to Eleanor Shaw, the organiser, for suggesting it and bringing it all together. We had music from the wonderful Liz Crippin, poems and stories from Richard Foreman and Rhoda Thomas, plus readings from my writing circle friends, Mari Dafis and David Wallington. Then it was time for cake – yay! – and more cake, and tea all round. Caroline Oakley, my editor, gave an overview of the work Honno does, and most interestingly for the writers in the room, what she was hoping someone would submit in the future. I was pretty nervous but by that time, everything had gone so well that I had relaxed quite a bit. Still, I was glad I’d written down what I wanted to say – my brain had totally deserted me. I thanked people, then read a section of Not Thomas (the part about the Christmas concert where Tomos is singing the solo and trying to find his mum in the crowd). I was delighted with how the extract was received – when you’re reading the words of a five-year-old boy, you don’t know if it sounds right or just weird. But the audience’s reaction was lovely. To look out and see the sixty or so faces watching and listening intently, and to see all those early copies of Not Thomas sitting on people’s tables was just amazing. The audience was full of friends too, which was so lovely to see. A very big THANK YOU / DIOLCH YN FAWR to Eleanor Shaw, David Pitt, Spoken Word Saturday, Ffwrnes Theatre Llanelli & the staff there, Rhoda Thomas, Mari Dafis, Richard Foreman, David Wallington, Jon Gower and Caroline Oakley. And to everyone who came along and supported me – you are all wonderful! 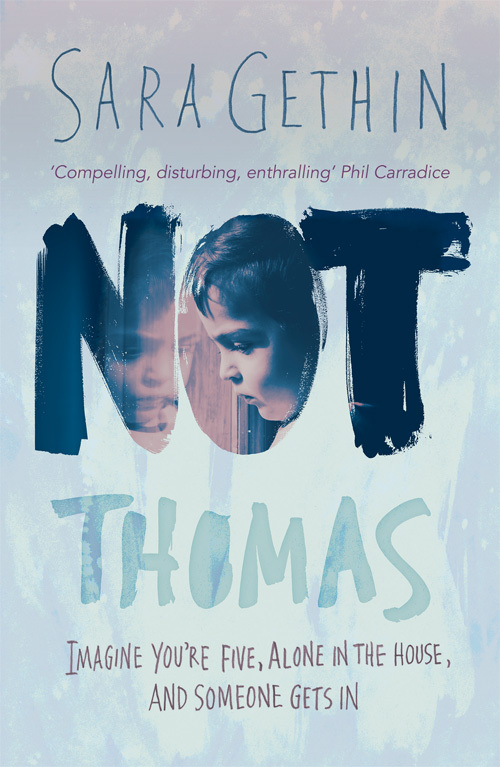 Sara’s debut novel Not Thomas is published by Honno Press in paperback and on Kindle and is available now on Amazon. I loved reading this post!!!! I wish I was at your book signing today, but I was there in spirit! !